Hello! I’m Haley! I grew up in deep south Alabama. I loved life in my own little world. We took family trips often, but mostly stuck to what we knew. Then, I decided to attend college far away from home. I ended up marrying my physics lab partner – something about physics led to chemistry – and his job has taken us all over the world! We currently live in Germany and are welcoming another little tag-a-long to the family in July 2018. We love seeking out new adventures all over the world, and hope you’ll follow along! Hello! We are the Campbell Family. I’m Haley and our family includes my husband, Todd, our kids, Emelia (6), Philip (3) and a baby boy due in July 2018, and our dog, Polly. We currently live in Western Germany, but we’ve lived all over the world including South Korea, Las Vegas, Washington, DC, and more! Todd and I met in college as Physics Lab Partners – something about Physics led to Chemistry – and we married shortly after. We began our nomadic lifestyle, following his work around the world. We welcomed our daughter, Emelia, to the family in 2012 and thought our traveling days were behind us. Thankfully, we were wrong! Our traveling didn’t stop, in fact, it picked up! So much so that Emelia began waking up each morning and immediately asking me “Where are we going today, momma?” We were so thrilled to be able to show her the world that we couldn’t help but keep traveling. We welcomed Philip to the family shortly thereafter, and we haven’t slowed down since. We have found that traveling as a family is even more rewarding than our travel before children. Something about being able to influence little minds and show them the world is what keeps us going. 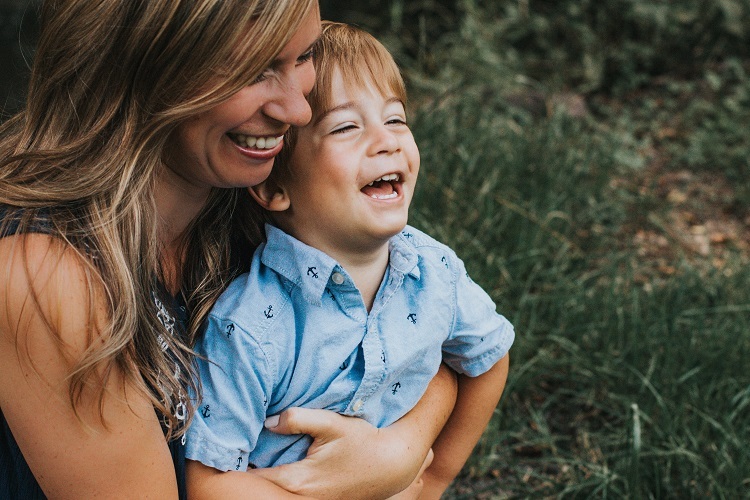 Yes, it may feel daunting at first, but we have found that the family benefits of travel are so worth it. We’re thrilled to welcome a new little baby to the family this summer, and don’t have any plans to slow down our travel anytime soon. Our family travel style is a mixture of anything and everything. We love adventures, road-trips, seeing new places and finding off-the-beaten-path treasures! When we lived in the United States, we owned a camper. We road-tripped across the country a few times exploring new places in the camper. Now that we live in Europe, we are loving the easy access to so many fabulous places. An easy flight or a short road trip can lead us to a whole new culture and climate. We are equally enthusiastic about long travel adventures as we are about short day-trips in our local area. Sometimes I find the most excitement the closest to home. When we travel, our most frequent stops are for hiking, exploring ancient architecture or ruins, and for ice cream! We don’t necessarily plan our travel around the kids, rather we include them in whatever we’re hoping to see. 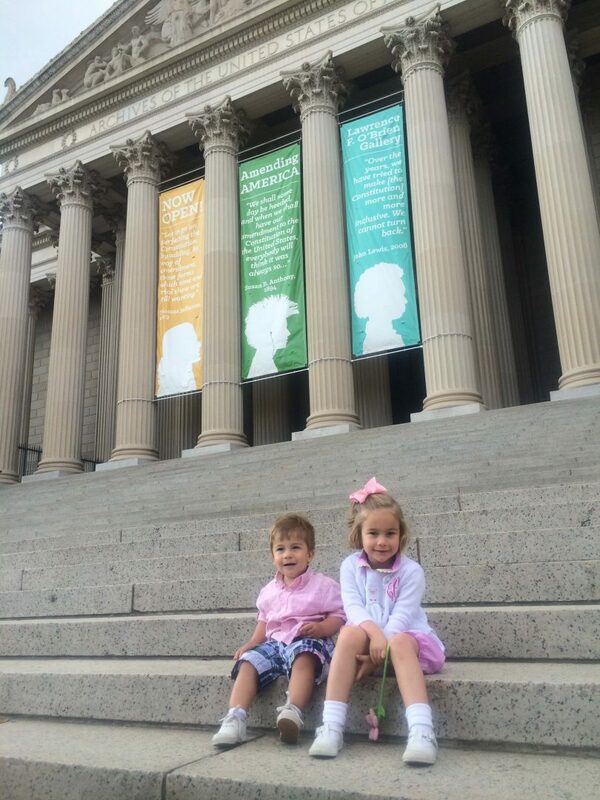 We love finding kid-friendly aspects of things that Mom and Dad are interested in visiting. Ultimately, our greatest joy comes from watching our kids learn new things and experience new places. As they get older, their interest in what we’re doing is growing and they have become such amazing little travellers. Choosing a favorite family travel experience for us is like choosing which kid is our favorite. It definitely varies with the time and the mood-swings. 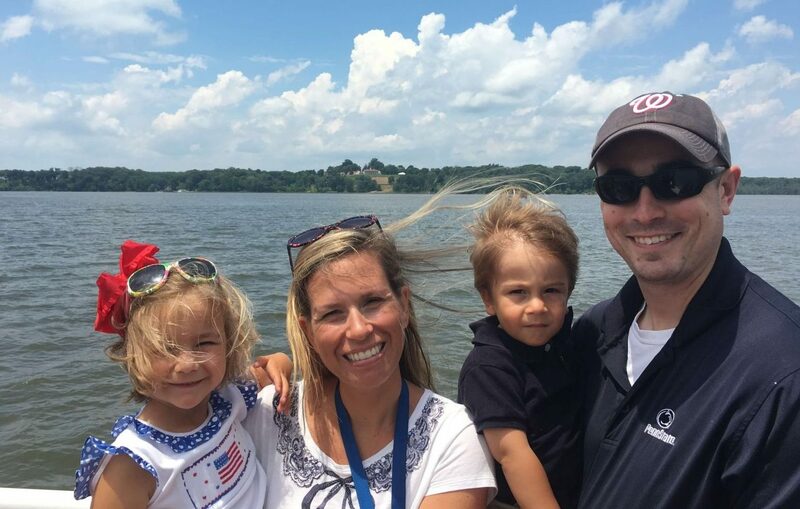 After traveling all over Europe and across the United States several times, I still think our favorite family memories are during our time living in Washington, D.C. We played tourist in our own town while only living in the area for 8 months. 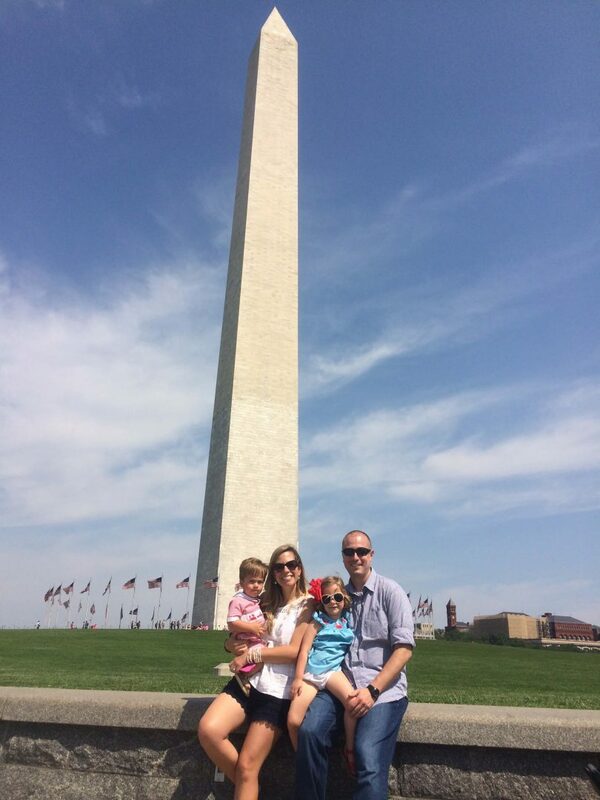 Washington, DC is one of the most family-friendly areas we’ve ever visited, and we absolutely loved our time there. While in the area, we mostly used the metrorail (or metro) for transportation. We also had vehicles, so when needed, we used them to drive around the suburbs, but traffic in the DC metro area can be an absolute nightmare. So, when possible, we used the metro transportation system. As an added bonus, the metro might have been our kids favorite part of traveling around DC. They became regular pros and loved the train. Plus, up to two children, four years and younger, ride free with each paying adult. We regularly took the stroller on the metro and into the city, but it can be challenging when elevators are not working. Overall, the DC metro is very family-friendly, but the non-working elevators can be a challenge. I would definitely suggest bringing a stroller that you can fold easily and carry up an escalator if necessary. But, for walking in the city, a stroller is definitely a must. Walking in downtown DC is mostly flat and stroller accessible, but it is a lot of walking! So, our kids definitely relied on the stroller. If you are planning to visit many indoor sites, then a sling might be more preferable since a stroller can be difficult to maneuver. Check with the locations you are planning to visit to ensure that you can bring a stroller in! 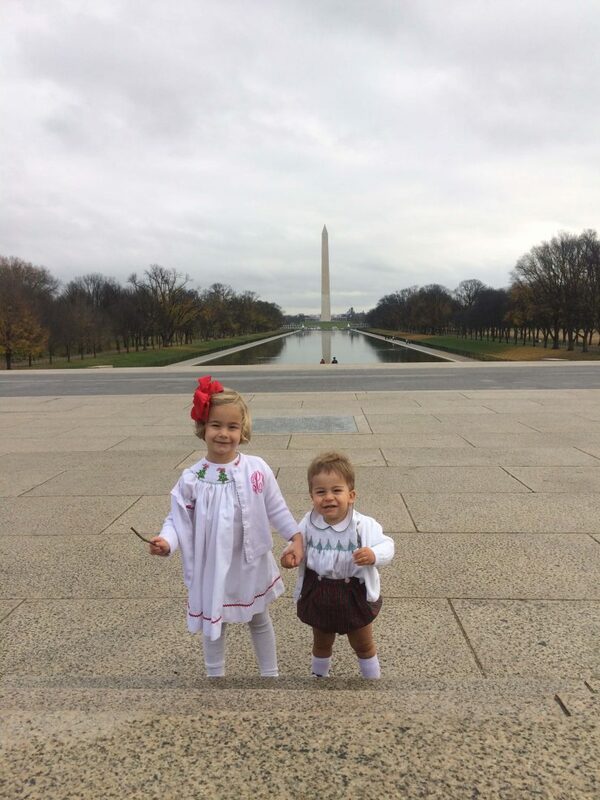 We pushed our double stroller all over Washington DC and were very grateful to have it. Favourite Family Travel Experience Cont. Once in the downtown Washington DC area, our favorite places to visit included the National Air and Space Museum of the Smithsonian Institution, the National Museum of Natural History, the United States Botanic Garden, the Bureau of Engraving and Printing, the United States Capitol, and outside of the city, George Washington’s Mount Vernon. We also thoroughly enjoyed just walking along the National Mall and taking in the beauty of the monuments and landmarks. The National Mall is the area between the United States Capitol and the Lincoln Memorial. Many of the memorials are located just off the mall. If you visit in the spring, definitely don’t miss the area surrounding the Tidal Basin and the Thomas Jefferson Memorial where the beautiful cherry blossoms are in bloom. One superb benefit to visiting Washington DC is the access to free museums! Visits to all of the Smithsonian museums are free! Visits to other government buildings including the Capitol and the Bureau of Engraving and Printing are also free, but tickets are required. Tickets can be requested through your local state representatives or senators. Tickets for the US Capitol can also be reserved online in advance. For the Bureau of Engraving and Printing, you can also get tickets on the day of your tour starting at 8am from the ticket office. Tickets often go fast, especially during busy seasons. It is always free to walk the National Mall and view all of the monuments. 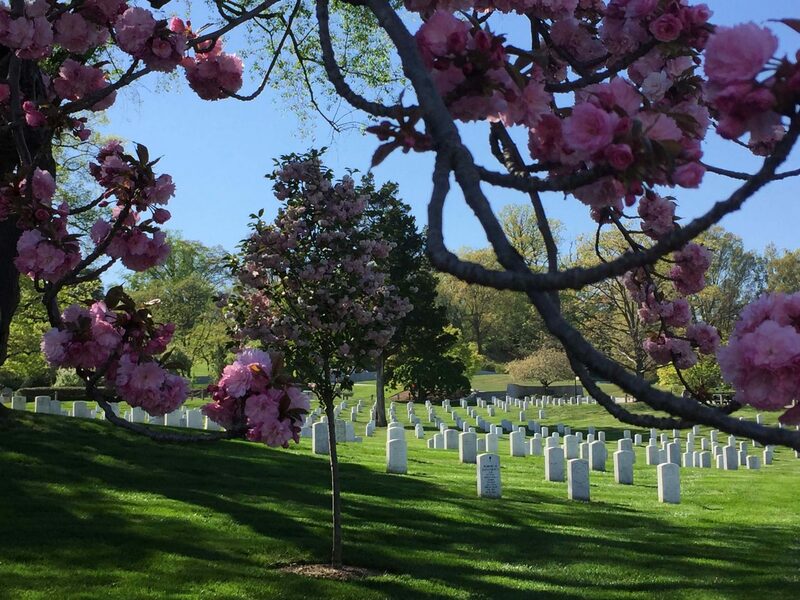 There are many parks lining the sides of the Mall also and Arlington National Cemetery is a very moving place to visit. 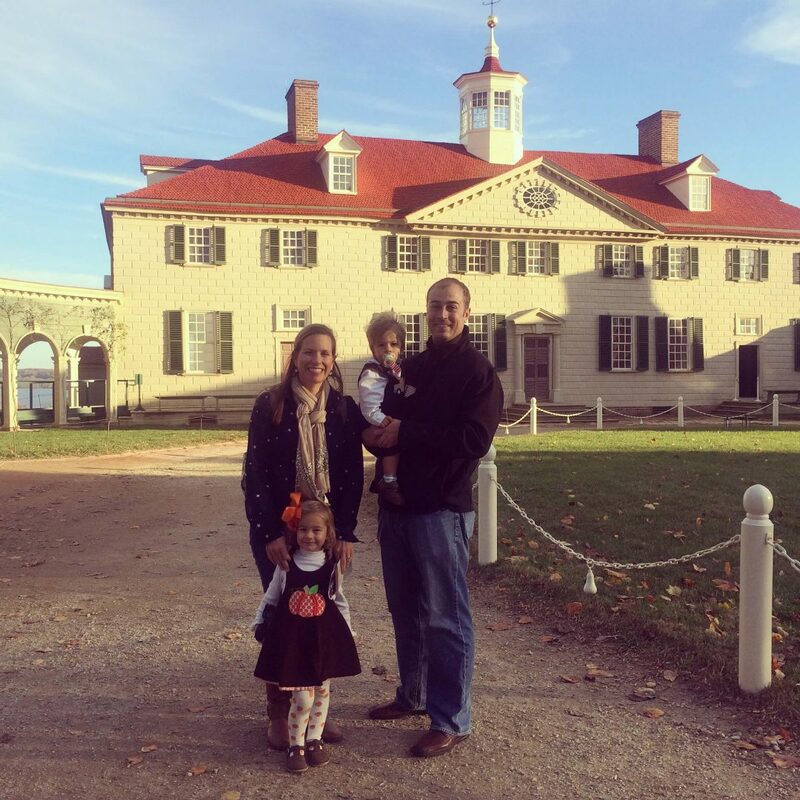 “There is so much to see and do in the Washington, DC area, but one of our favorite places to visit is George Washington’s Mount Vernon”. 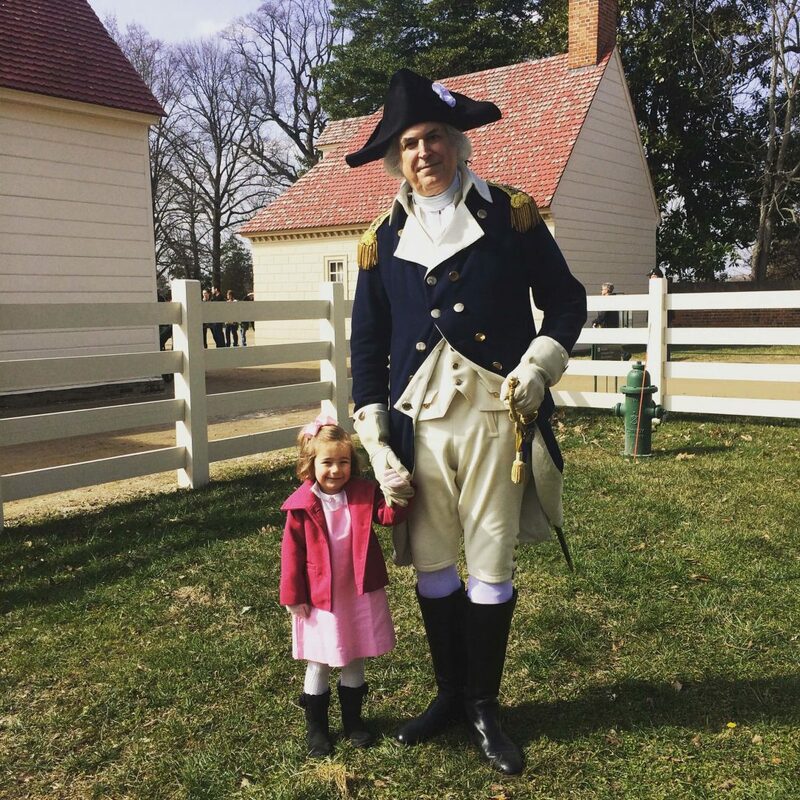 There is so much to see and do in the Washington, DC area, but one of our favorite places to visit is George Washington’s Mount Vernon. George Washington’s home is located just south of downtown DC in Virginia. Taking a bus or private car to the site is recommended as the Metro does not access Mount Vernon. The beautiful estate is gorgeous for exploring. You can also tour the mansion, gardens, working farm, the Washington’s tombs, and other buildings located onsite. The Mount Vernon Museum and Education Center can not be missed. The Hands-on-History Center located in the Education Center hosts kid-friendly activities including story times, crafts, games, dress-up, and even a doll-house sized model of the mansion! We particularly liked meeting the staff who roam the estate in character and love to tell you about life on the farm during George Washington’s time. We also enjoyed taking a Potomac River Cruise from the dock to get a unique perspective of the grounds! 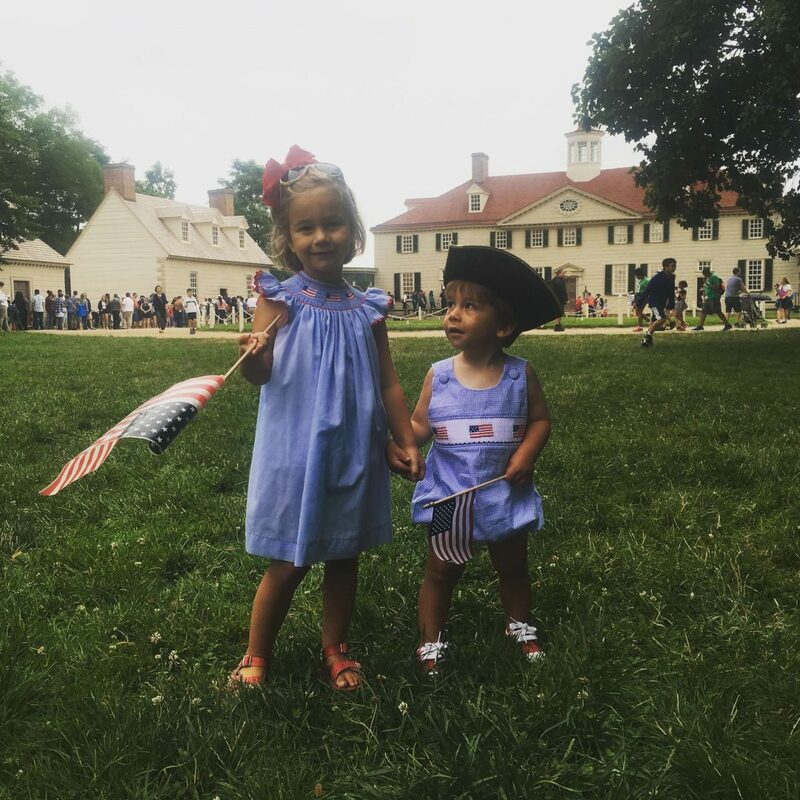 Visiting Mount Vernon is not free. Adult tickets are $18. Children from 6-11 years old are $11, but kids from 0-5 are free! Our favorite places to eat in the DC area are the cafeteria connecting the west and east wing of the National Gallery of Art and the Mount Vernon Inn Restaurant. Most of the time, we pack picnics to enjoy on the National Mall! There is so much to see and do in the Washington, DC area that you could spend a lifetime exploring and still not visit everything. My suggestion is to get the kids involved in planning this trip as much as possible by researching what there is to see. Our kids always feel more enthusiastic about the places we visit when they have learned about it previously and have had a say in where we go! Three destinations on our bucket list? If you had to pick one travel item that makes travelling with kids easier, what would it be? I would definitely pick our Deuter Kid Comfort II hiking backpack. We are a very active family, and when the kids are little it’s hard for them to keep going. The hiking backpack has allowed us to travel many more miles than ever before with our kids. It’s also saved us from some scary situations in places like Yellowstone National Park and Cinque Terre, Italy where the walking can be dangerous for the kids! What’s your best piece of family travel advice that you can share with the Our Tribe Travels community? My best piece of family travel advice is the more you travel, the better it gets! I can’t count the number of times people have asked me how we travel so much with our young kids. I always tell them that once you start, you can’t stop! It seems daunting, exhausting and impossible at first, but our kids always impress us with their love for travel and their excitement to see new places. The more places we go, the more places they want to see!